Croque Madamme – One of my favorite brunch foods﻿ – Abbey Co. I feel like croque madamme is like a classy version of biscuits and gravy. It’s the same concept of bread doused in gravy, but with fancier terms to make you feel super sophisticated while eating something relatively sinful. It’s my understanding there are two versions of this dish- croque monsieur and croque madamme. 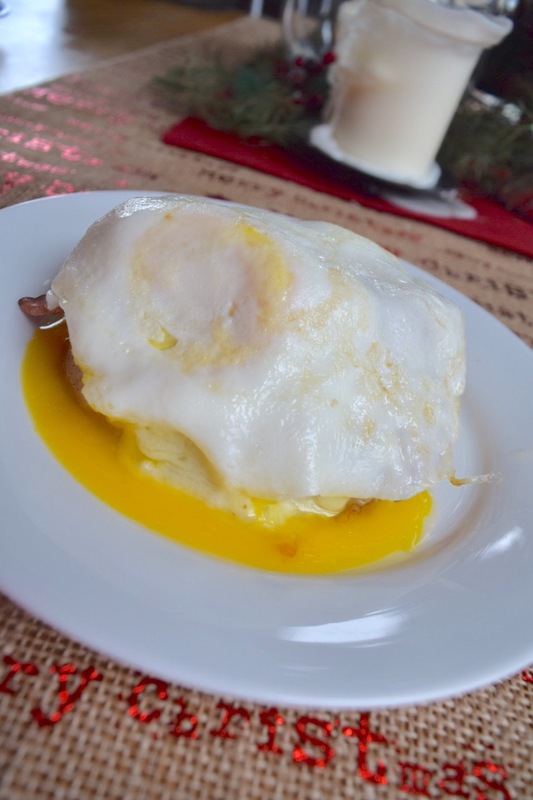 “Madamme” means fried egg on top, and “monsieur” is sans-egg. We are firm believers that basically everything is better with a fried egg that has a nice runny yolk you can mix in with your sauce. But, if golden yolk goodness isn’t your thing, you can leave the egg out and still enjoy the dish, monsieur style. Time for a disclaimer. I use a ridiculous amount of sauce on everything I make. As a standard I almost always double any sauce or topping portions. I have already done that below with the measurements I gave for the beschamel. If you don’t want an ungodly amount of sauce, don’t feel obligated to use it all, but I feel like the more the better 😋. With the measurements below I made two small but decent size sandwiches. If you don’t have these ingredients exactly don’t worry! I have done this recipe with all different types of ham, different types of white cheese, and even when I was out of nutmeg (sub in allspice). Get creative! Preheat your oven to 300 degrees Fahrenheit. 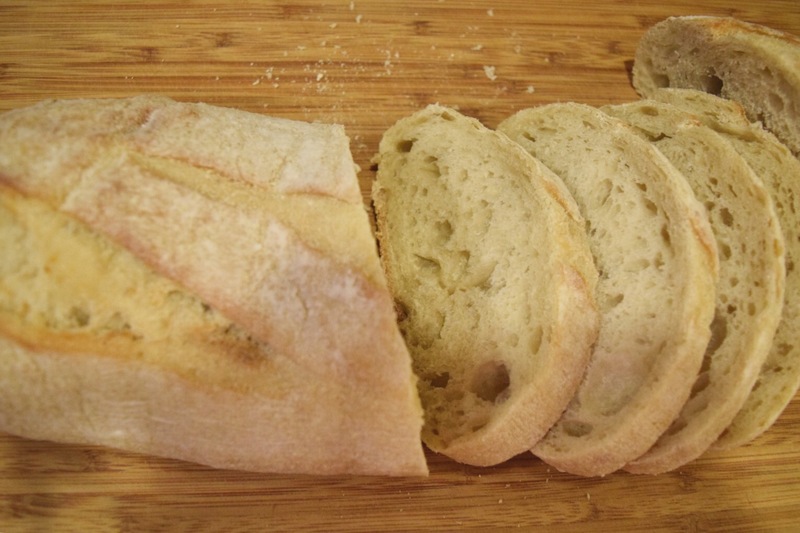 Slice your bread, about 1/3 of an inch thick. Butter the bottoms. Next, you will make your beschamel sauce (fancy gravy). Melt 2T of butter in a medium saucepan. When dissolved, stir in the flour mixing well and eliminating clumps. Slowly pour in your milk only a little at a time, whisking well as you combine. Sauce should very thick and evenly mixed, only thinning out a little at the very end. Don’t over cook since it will get too thick and clumpy. Season lightly with salt pepper and nutmeg to taste. Set aside. In a skillet on medium heat, place your pieces of bread butter-side down and toast until lightly golden. Remove from heat and douse in the beschamel sauce. Back in the skillet, lightly warm your ham (I always do this to help melt my cheese and make sure the sandwich doesn’t have any cool spots inside. Now, layer your sandwich (bread, meat cheese) in the skillet and top generously with more beschamel. Place your skillet in the oven and bake until you can see the cheese melting down the sides and the beschamel sauce bubbling. Remove from oven and dish up. Lightly fry an egg per sandwich to desired consistency and place on top of the sandwich.